Ernest Lieb was born in Berlin Germany in 1940 as Hitler’s armies were devastating the European country side. He, along with his mother and father, immigrated to the United States in 1952. He became an American citizen in 1959. At the age of 12, Ernie was a small, malnourished 67 pound boy. Life for him was difficult as he learned about the dangers of the Chicago streets the hard way. He was involved in many fights and quite often lost. He never gave up trying to win. 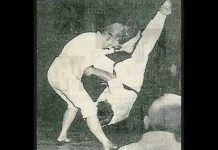 In 1956, Ernie discovered Martial Arts as he began his studies in Judo. 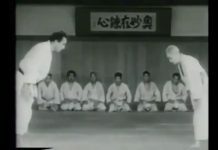 He had always wanted to fight the bigger guys, but discovered that with Judo it works very much against a smaller opponent. When a Marine started teaching a Karate class at the YMCA in Muskegon, Michigan, Ernie was impressed by this art as size did not seem to matter as much as speed, determination, timing and focus. In a Karate Illustrated article written about Mr. Lieb in January of 1980, he said that this first encounter with Karate allowed him to see a future for himself. A future where his small size would not matter, and a person’s dedication could allow him to excel in this sport. He started training in Karate and saw in it something he wanted to do for the rest of his life. Lieb joined the U.S. Air Force in 1961 after graduating from High School. He was stationed in Korea, even though he had hoped for an assignment back in his native Germany. 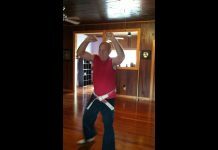 He continued his martial arts studies by joining Mr. Kim, head instructor of the Chi Do Kwan club on base. Mr. Kim’s students had won the Korean National Championships five times. Ernie earned his black belt in Chi Do Kwan in 1963, and went on to win numerous events in South Korea. Also in 1963, he was chosen as the U.S. Air Force Team captain. The same year, he won in the Korean Nationals. In 1964, he was the first American to win the light weight division in the World Tae Soo Do championships. Later that year, Ernie returned to the United States. Shortly after his return, he founded the American Karate Association. Because of the prejudices and differences in philosophies in all of the styles, he was very displeased by the poor attitude among the different styles. No one wanted to work in harmony with one another. So Mr. Lieb created an organization to foster a spirit of togetherness, sportsmanship, and respect for all styles. A spirit where people would work and train together regardless of the style of martial arts they studied. It was also during this time frame that Ernie’s views about and American style of karate were being formed. In those first years, he used the word “AMERICAN” in front of his Korean style. In those days, using the word “American” in front of an oriental style was unheard of. It brought quick retribution; using violence against Ernie when he competed in Karate tournaments across the nation. 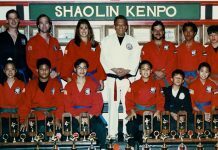 In 1972, with thirteen of his most dedicated Black Belts, Ernie founded the American Karate System. Those head instructors, with Mr. Lieb, started a revolution in the Karate world of America. 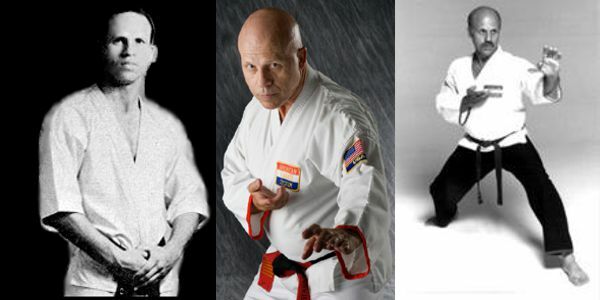 For if you look around you today, you will find over 75% of all Karate schools using the word “American.” Some even imitate Lieb’s style by using his ideas, style’s name and techniques, and calling themselves American Karate Systems. One can suppose that “imitation is the greatest form of flattery.” But let it be clear, Mr. Lieb’s American Karate System is the only Karate organization recognized in representing American Karate. This [fact] has been recorded in the Book of “Who’s Who In the Martial Arts,” as well as in dozens of Karate Magazine articles which go back to the 60’s and 70’s, and also recorded at all major Karate Tournaments and events. So anyone not affiliated with the original American Karate System cannot be a representative of his system. In 1978 and 1979, Major Mike Sullenger and Sgt. Robert Debelak served in our military in Germany where they started teaching our A.K.S. style of Karate. With time, and their ability to win events all over Germany and several foreign countries, they established a respected name and reputation for our style there. This includes having Mr. Lieb’s beloved A.K.S. become recognized in Germany, Mr. Lieb’s native country. Later, Herr Andreas Modl, current director of the A.K.S. in Germany, went a step further. 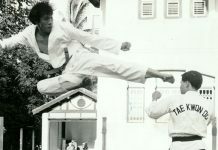 He had the American Karate System recognized and accepted as a member of the German D.K.V. They are the largest Karate organization in Germany with 130,000 + members. In 2004, the European and World Karate Associations also accepted the A.K.S. as a full fledged member. It is the only style of American Karate that has been accepted and has received this recognition. The books were then closed by these Karate organizations. Thus, closing the doors for anyone else being able to represent American Karate in Germany or Europe. This important recognition assured Ernest H. Lieb as founder of his style. A place in history alongside all of the major founders of styles of Karate in the Martial Arts World such as the founders of Shotokan, Goju Ryu, Uechi Ryu, Shito Ryu, Chi Do Kwan, Chung Do Kwan, Moo Duk Kwan, and many others. Now that our foundation and history have been recognized throughout the world, remember that without the dedicated instructors and students within the A.K.S., this wonderful event would never have happened. I thank all of you for your support of my dream. 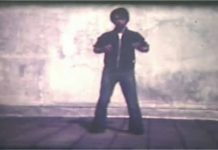 Mr. Lieb remained undefeated in over 200 individual fights, in the Light weight division, in 45 national and international karate tournaments. In open competition, Mr. Lieb lost on a few occasions due to rough or excessive contact. On a couple of occassions, he did lose to the heavy weight champion. Mr. Lieb was the Chief Instructor of the American Karate System with its headquarters located in Muskegon, Michigan. The AKS has been in existance since 1964, the same time he founded the AKA. The AKA was polled by Black Belt Magazine and Karate Illustrated as the largest non-profit karate association in our country. The AKA has its headquarters in Chicago, Illinois. Over the past 40 plus years, Mr. Lieb has trained police officers, sheriff’s deputies, state police officers, national guard, army (pentagon officers) and US Special Forces personnel. Today, a dream come true for Mr. Lieb, the A.K.S. is practiced in many states within the Continental United States as well as in Germany under the direction of Herr Andreas Modl 6th Dan. In 2004, with dedicated effort by Herr Modl, the American Karate System is the only non-Asian style recognized by the German Karate Union (DKV) and the World Karate Federation. No other American organization or style has accomplished this. The A.K.S. was seen by the DKV to represent all of the best values and traditions of its stringent adherence to conservative traditional values in the study and practice of Karate.